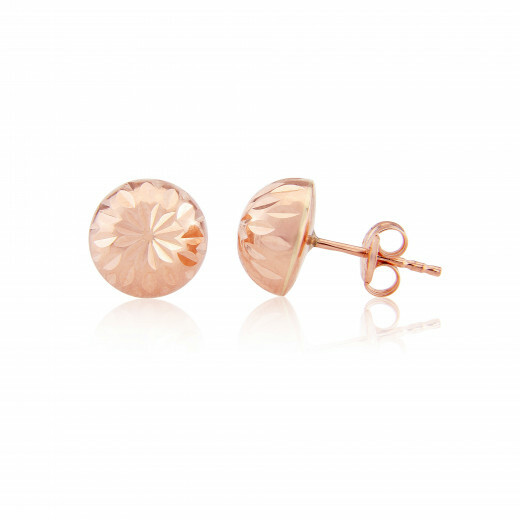 Small, neat dome-shaped stud Earrings in Rose Gold. 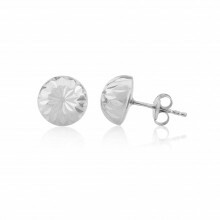 Each stud has engraved 'facets' in the design which subtly glint in the light as you move. Wear with anything, anywhere. Pair them up with other Earrings or odd Earrings. Get them in other (White and Yellow) Gold too. Impossible not to love. Perfect gift for yourself and your friends.